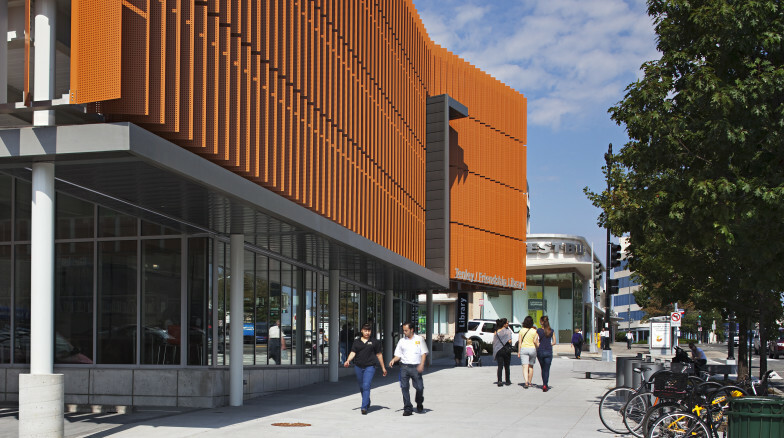 Located in Tenleytown, a historic village in Washington, DC, the Tenley Friendship Library is one of four DC libraries that were designed by nationally recognized architect, Phil Freelon. 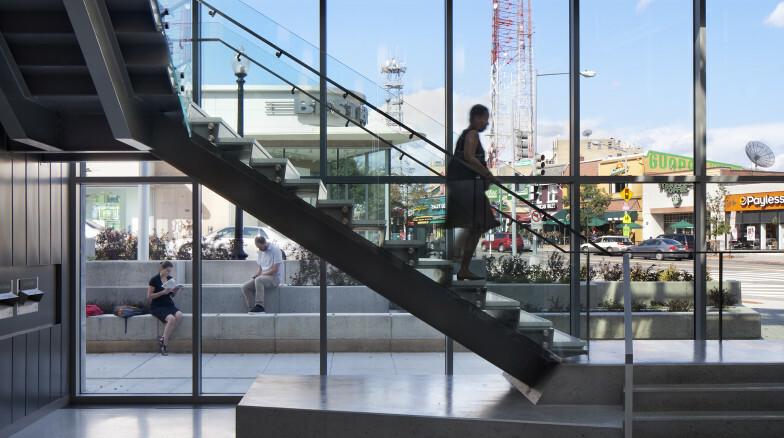 This one, a 23,000 square-foot building located on the highly visible corner of Wisconsin Ave and Albemarle Street, responds to an evolving neighborhood while honoring its history. The Surface 678-designed streetscape and plaza design orient visitors and pedestrians to the building entrance and outdoor amenities. Site furnishings are efficiently placed within a curbside zone to preserve pedestrian space, enhance visibility, and facilitate maintenance.